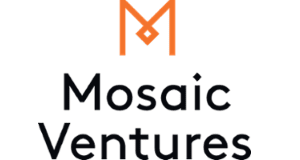 Mosaic Ventures is a crypto venture capital fund based in London, United Kingdom. They are one of Europe’s largest seed investors and began investing in blockchain companies like Blockstream in 2014. Want more detailed information on Mosaic Ventures and more than 700 additional crypto hedge funds and VC funds? Download the Crypto Fund List! Want more detailed information on Mosaic Ventures? Get 30+ categories of information on Mosaic Ventures and more than 700 crypto hedge funds and crypto VC funds in the crypto fund list.